This is the foundation of all good skincare regimes and can make a huge difference to your skin. During the winter months, it’s important to opt for a richer cleanser, however as the weather turns brighter, try switching to a lighter cleanser, such as a wash or a gel. Oil cleansers are also a great option for year-round cleansing. Try to avoid using foams, even with oily skin, as these tend to contain detergents which strip the skin of moisture, causing the skin to produce more sebum to compensate, thus resulting in an oilier complexion in the long-run. Our new Certified Organic Clarifying Safflower & Geranium Cleansing Oil gently rids the skin of dirt and grime whilst locking in moisture to help balance the skin. It’s also gentle enough to use across your eyes to remove even waterproof make-up. Of course, one should exfoliate all year round, but during the spring and summer months, look to increase this to twice a week to maintain a glowing complexion. One of those most important things to remember when you do exfoliate is not to scrub. By scrubbing the complexion, you will scratch the surface of the skin, damaging its protective layer. Instead, lightly rub your exfoliator in circular motions to gently remove dead skin cells or use a fruit acid peel. Hydrate from the inside and outside during the spring and summer months. Drinking water is an essential component in ensuring the body’s organs function properly, which results in clearer-looking skin. With regards to your beauty regime, switch to a light oil or moisturiser in spring to allow it to breathe. However, if you’re spending a lot of time in an air conditioned office, it’s important to lock moisture in. Safflower oil is an incredible skincare ingredient as its high percentage of linoleic acid works with the skin’s sebum to help unclog pores and balance the complexion and locks-in moisture at the deeper layers of the skin. Rosehip is also great natural ingredient for helping to hydrate the skin and reduce the appearance of unwanted marks. Its high content of Vitamin C and anti-oxidant properties also help to promote a glowing, radiant complexion. As soon as the sun comes out, us Brits tend to brush off the cobwebs and take every opportunity to bask in the sun. However, exposure to the sun is the number one cause of skin ageing, which is why it’s so important to protect your skin using an SPF all year round. As you begin to spend more time outside, soaking up the Vitamin D, remember to apply a good quality SPF to protect your skin from harmful UV rays. 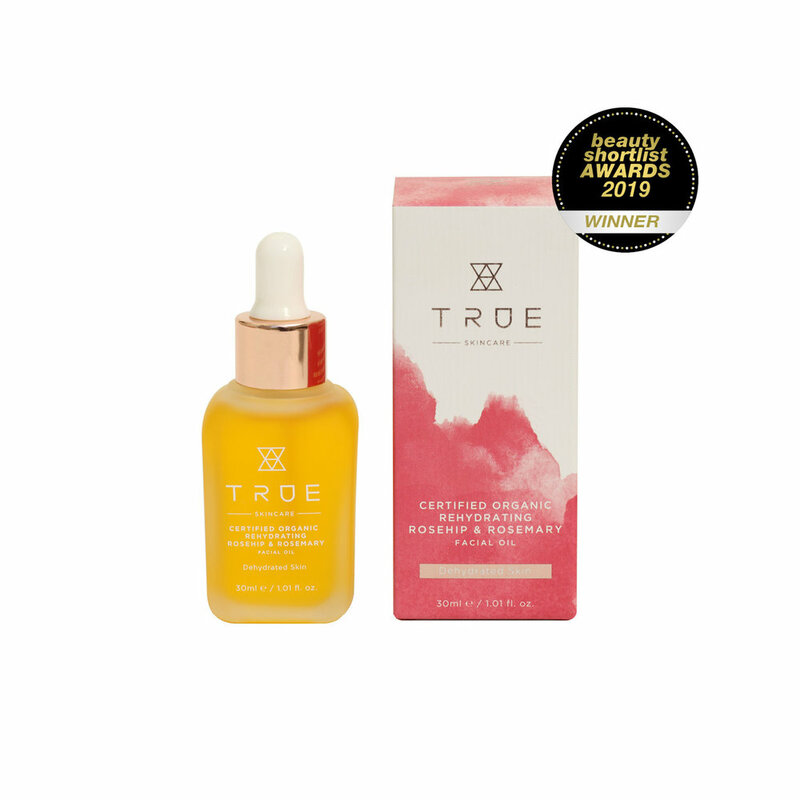 Copyright © 2019 TRUE Skincare. All rights reserved.